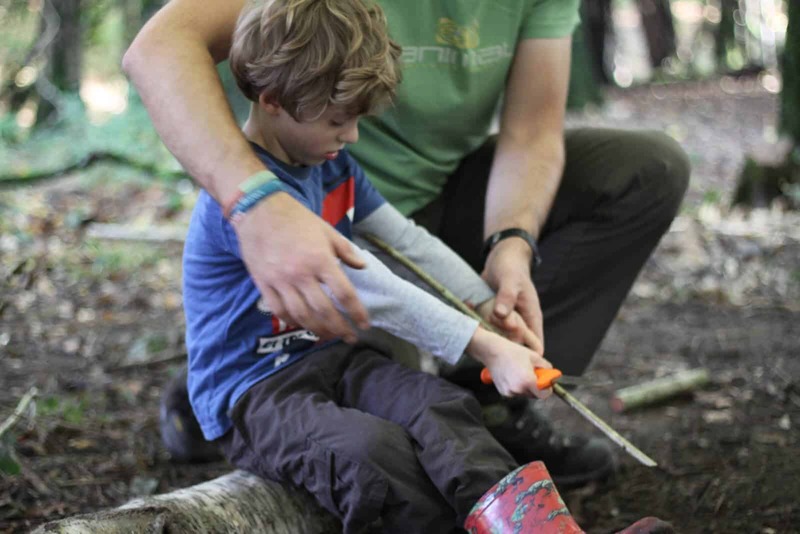 A great opportunity to get out in the woods, bond and learn new skills on this family bushcraft course in Dorset. This family bushcraft weekend course is aimed at the whole family, allowing the kids to explore and learn new skills in a safe but fun and adventurous environment. 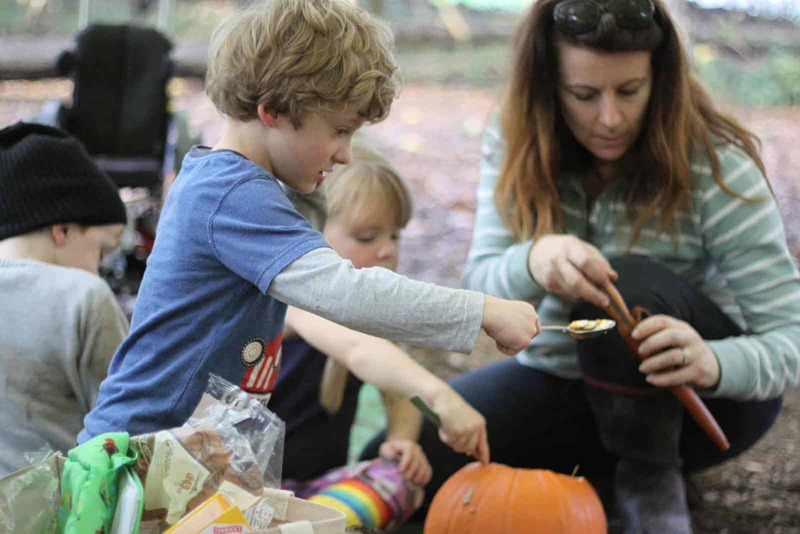 As a family you will build your own shelter in the woods, track woodland animals, learn how to make fire by lots of different ways, cook over an open fire, learn how to find clean safe drinking water, forage for woodland food, carve your own spoon or make a bow and arrow to take away with you and enjoy just being together in the great outdoors. 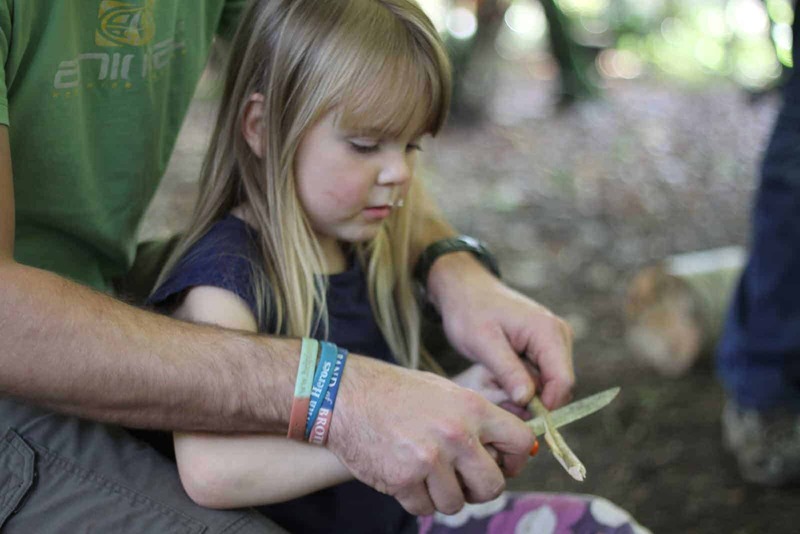 This family bushcraft weekend can be as exciting and adventurous as you like. You can choose to sleep in a hammock, under a tarp or in the shelter you made as a family team or just bring a tent! If you like we can cook your evening meal over your open fire or we can supply you with all the ingredients you need and you can do it yourself. 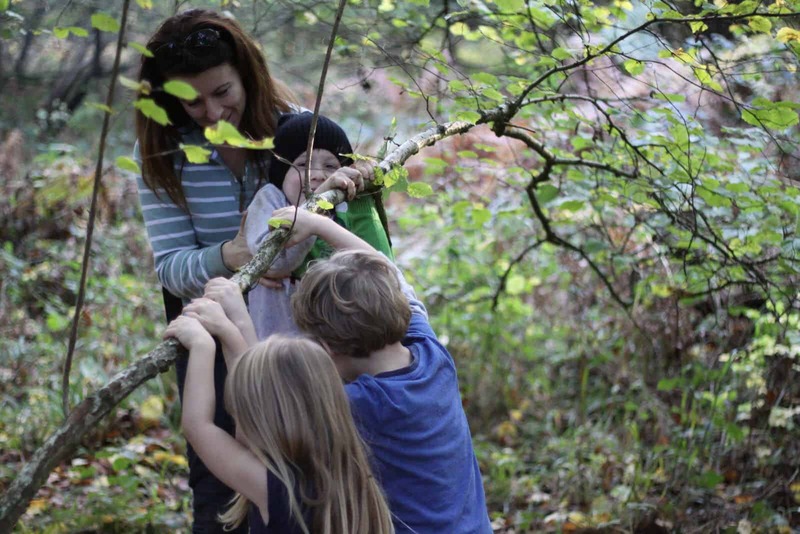 Our instructor will stay in the woods with you should you need anything, but you will be left alone as a family to relax and enjoy spending time together and away from all the hassle of modern life in a great woodland surrounding. This course can be booked around you so contact us and let us know when you want it to happen.